Breathtaking view from the 20 sqm terrace! restaurants, original bars and pubs. view from the 20 sqm terrace. kitchen will allow comfortable self-catering. make you feel at home away from home. best pubs in the world! 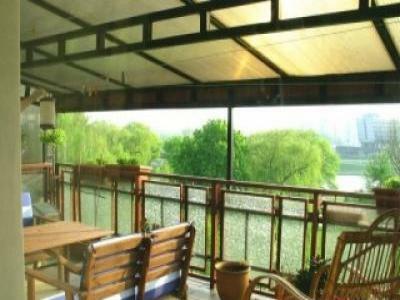 can go for a pleasant boat sightseeing-ride on the nearby river. There is also a playground just round the corner. parking area nearby (5 min.). only possible when you know the locals. Please note our last minute offers. Long term lets are welcome and at a negotiable price. Our pricing policy is oriented towards weekly rentals.